Below I will share some important life lessons I learned from being severely and chronically ill. I would love to know what you have learned over the past year too! Leave a comment below or email me if you'd like to share your life lessons. ​Sometimes we let fear hold ​us back, fear of payback or fear of failure. We hold back and don't do things or dream dreams because we're either scared of how ​our body might respond or we're ​afraid of what others might think about ​it. We might even feel useless at times, like we can no longer contribute anything of value. But I have discovered that, ​more often than not, ​our fears aren't justified and they don't ​ever materialise. This means that we stress and worry over nothing. It only damages and hurts ​us, stifles ​our creativity and productivity and steals our joy - for no reason. ​What if this year we don't let fear stand in our way, but instead ​let's feel the fear and do it anyway! Something that has been proven to me over and over again through the years, but much more evidently in 2018 as I now live far from anybody I knew in real life, is that sometimes the most consistent love and support comes from total strangers or people you never expected would reach out or stick with you. Time and time again I see people heartbroken because the people they counted on, ​who they thought would always be there for them, seem to have abandoned them. They marvel that support groups or online communies have instead rallied around them to show much love and support where their own friends and families wouldn't. ​This is the beauty of life. This is how God provides His love and comfort when people fail us. He brings total strangers into our lives who are willing and able to support us. Most of the people who contact me regularly are wither people I have never met or people I wasn't even close to when I was healthy. Help and friendship has come from the most unexpected places! So instead of looking back at the empty spaces where people "should be" in our lives, we should look forward and be open to the possibility that perhaps other people are better equipped to support us in our current season. ​This lesson ties in with the previous one. ​We might think people ​we know no longer care about ​us ​because they don't reach out and we feel isolated. But I've found that sometimes they simply don't know how to reach out, so they watch and hope and pray fom a distance. They don't stop caring. They probably just feel ill equipped or helpless, so they step back. ​When fear ​or discomfort take hold, people will retreat. ​Your loved ones most likely haven't stopped watching, caring, praying for, or thinking about you, they probably just don't know how to ​deal with what you're going through. Nobody is taught these things, ​and ​there are just a few who are well equipped through their own life experiences and some of them will step up. But that is why joining support groups online is so important - you will find a concentration of people who know, understand and care - because they've been there. And they really do care! ​So my third lesson is: we are not forgotten, and we are loved! ​You are really much stronger than you feel. When I thought I was checking out, my body was just letting me know it needed more stillness. It took months of being bedridden with horrible, scary symptoms, but then one day I woke up and they were gone. I just knew that my body had got over the worst of it and I was back on the recovery path again. It can always get way, way worse. But it can also get way, way better again. It might take months, or even years, but improvement is just as possible as the opposite - so we should never give up hope. Just this week I watched a video of a lady taking her first steps after being bedridden for 20 years! Anything is possible - your body is resilient, strong and fighting constantly behind the scenes to heal and repair itself. Give it all the help, time and nutrition it needs and be patient and kind to yourself. ​As people with lifelong chronic illness, we ​shouldn't aim for a cure and deny anything else just because we know that it won't cure ​our condition. We must aim for improvement. For a better quality of life. If meditating or humming or standing on one leg is going to improve some element of my life, then that's worth incorporating - remember, it's the combination of many small steps that make up a long journey. Many small improvements in different areas of your life will add up! Last year I ​learned that regular salt water intake and keeping my legs raised helps my heart and body feel better. I might go through life in a reclined position and have to drink ​salty water multiple times a day, but I can participate in life more that way, so it's absolutely worth it! I really didn't think​ ​salt water would do anything for me, but it has made a world of difference for me. I also realised that although I might not be experiencing continued improvement on my current regime of supplements, whenever I stop them or skip a day, I deteriorate so quickly - ​taking them consistently is obviously helping to support my body and makes my day-to-day experience more manageable. So lesson six is: Don't overlook the seemingly simple, natural remedies! Adding a variety of small activities to ​your week can make you feel like you've been more productive. Finding activities that are quite diverse and even doing them in different locations when possible can do wonders for our emotional well being. Even if I've only drawn one picture, crocheted one granny square, written one draft on the blog and watched one movie in a week, its better than doing the same thing over and over again day after day or week after week. It all just becomes a blur. Variety adds interest and uses ​a range of skills, muscles and ​parts of the brain. ​Different activities even evoke ​varied emotions. So, if you can, change it up - you really will feel the difference! ​Even if you're making small changes​, if you're applying them consistently, they can make a huge difference​. It's not easy to find what works and what doesn't, we are all so unique and the elimination process can be frustrating, but I am reminded whenever I slack that it is well worth the effort to stick to things consistently. Our bodies naturally work to rhythms and routines internally, there are many biological processes that happen automatically at certain times of the day or night or in sequencial order. So if we incorporate rhythm and routine consistently on the outside too, our body responds positively as it can adapt some processes to the routines and habits we practice. Things like nourishing your body at the same time each day, sleeping and waking in a consistent pattern, hydrating and supplementing regularly, breathing, stretching, meditating and praying at certain times. A​ny ​healthy habits you practice consistently can contribute to the overall wellbeing and better functioning of ​your body. Lesson 8 is: be consistent with healthy habits, your body will thank you. This is a lesson from the Bible, I​'m not sure why it's taken me so long to learn, but I have finally learned that it is really ​a helpful practice. We should try new things, even if we are skeptical, we shouldn't avoid things we have not even tried. How will we know for sure that our bodies won't respond positively if we don't try them? Some of those things I was most skeptical about turned out to be my staples that have helped me most - I ​wish I had taken the plunge and listened to that advice sooner! Yes, it can be frustrating to hear "try this" or "have you tried that?" and roll your eyes, but most people are offering their advice out of love and concern for us​. ​So as silly as some of these things sound and ​even if we know they won't cure us - they could very well improve one aspect of our lives and make our burden just a little lighter. ​Isn't that worth a shot? So my ninth ​lesson is: try everything at least once, do a bit of research, see if there is even the slightest possibility it could help improve something ailing you, speak to your doctor if you're already on medication to make sure it's safe and then give it a fair and decent shot for a few weeks and see how your body responds. You might be pleasantly surprised like I was! ​Now this is a big one - I had a very black and white view of the world before I fell ill. I believed eating lots of fruit and veg and doing exercise would keep me healthy, but chronic illness quickly proves that theory wrong. Even after I fell ill I again fell into that trap and decided Keto is the way for everybody. But I now know better. Every human being is unique. Our genetic predispositions, our history, our environments, our emotional well being, our lifestyle - they all play a part in how healthy each cell in our body is and what type of damage each cell has suffered. This means that each of us has a unique ecosystem which thrives on a unique combination of diet and routines or habits. What works for me certainly doesn't work for my mum or my sister, even though we have lived many years in the same environment. They quickly feel ill on my keto diet and I cannot tolerate the amount of carb filled fruit and vegetables they love to consume. Even if I'd like to. Some people have had great health improvements with a raw foods diet, others do great on plant based while ​some whole nations thrive on just meat and water. Our bodies can do well on a variety of fuels, so it is up to each of us to do our research and try each diet properly, with the right support and supervision to make sure we are eating the way our body prefers. When your ​health and maybe even your life depends on it, your emotions and moral compass should have nothing to do with this decision - it's about survival, healing, giving your body the components it needs to recover. It's about maybe even getting your life back. It's worth doing whatever you need to if it could mean getting out of your bed or house again. ​I couldn't imagine ​eating the ketogenic diet before I fell ill. The thought made me sick. So much fat. So much meat. So I tried paleo for 2 years, eating more fruit and vegetables than even before, but I only ever got sicker. So after reading so many stories of people healing from all kinds of things and people with ME feeling better on ​keto, I decided to give it a go for 6 months (so there was no way people could blame me for not trying hard enough) and my body has thanked me for it. Who would have guessed? So, lesson number ten is: there is no one-size-fits-all solution. You need to try things for yourself, even if you are skeptical, commit to it and let your body show you what it needs. Pin "10 Important Life Lessons"
​So, in hindsight, 2018 has been quite a good year. I might have been horribly ill for months on end, but I also had many aha moments that have equipped me for the journey that lies ahead. I hope that some of these lessons might help you too. Do you have any life lessons to share? Did any of my lessons resonate with you? 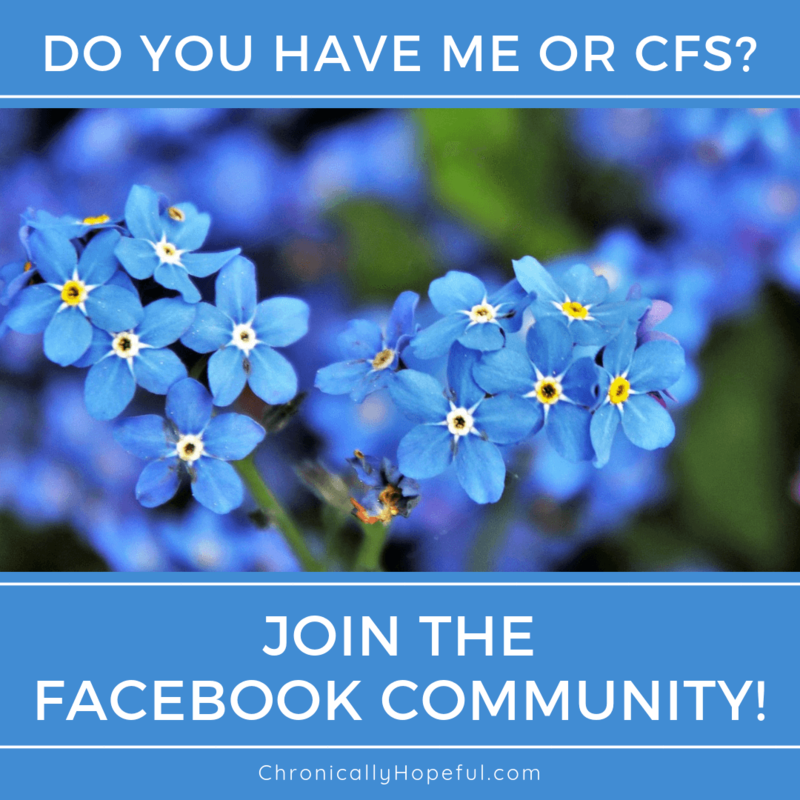 What has chronic illness taught you? I have ME for about 4 year s and I m not ready yet to be thankfull to be sick. Since it mostly feels like a frustating and isolating thing that came over me. It is really nice that you can sum them up nicely, it makes me less sad and somehow a bit thankfull for what I’ v learned. Hi Hilke, Thank you for your honest comment. I know acceptance is hard, and you don’t need to be thankful for the illness, but there are usually some positive things we can gain from just about every circumstance in life – even the negative ones. I am glad my post has helped you to find gratitude in the midst of your pain. I hope 2019 will be a year of improved health and joy for you. Hi Char, Thank you so much for this insightful post. I am not in your position and unable to think of being there, but I may have said this before, on a different forum, but would like to say to you again, that you are an inspiration to me, and I applaud you for what you do despite your medical condition. Keep it up Char, and thank you for being you and that I can follow you on your journey and learn from you. Wow. Thank you so much for your beautiful and encouraging comment, Esme. It’s actually brought tears to my eyes… big hug. It is a joy to create, write and help others – I’m just grateful I still can!